It is always a bittersweet moment when you get to the end of an amazing series. 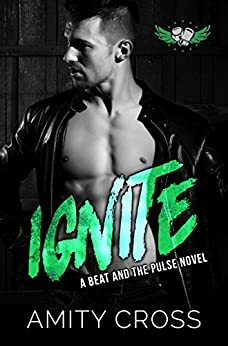 I have fallen hard for the guys and gals of The Beat and The Pulse series, and enjoy every bloodthirsty visit to The Underground. Blade and Ali's story had me hooked from the start. The feelings, the emotional connect I had with Ali, the wanting the hunka hunka burning love that is Blade/Liam. They are everything neither of them wanted, and I adored seeing the changes they made in each other. There is just something about an Amity Cross story that drags me in every single time. I can't help but fall for each and every new couple as the series is released. Another brilliant 5 star read from Amity. I absoultey love the Beat and Pluse series getting to read all the different underground fighters and there journey at finding Love.